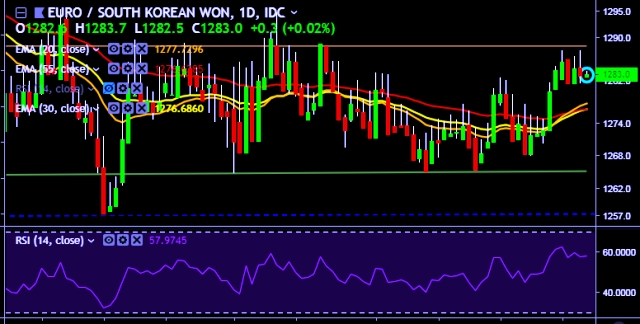 EUR/KRW is currently trading around 1,283 mark. It made intraday high at 1,283 and low at 1,282 levels. A sustained close above 1,289 will take the parity higher towards key resistances around 1,294, 1,307, 1,315 and 1,327 marks respectively. Seoul shares open up 0.36 pct.